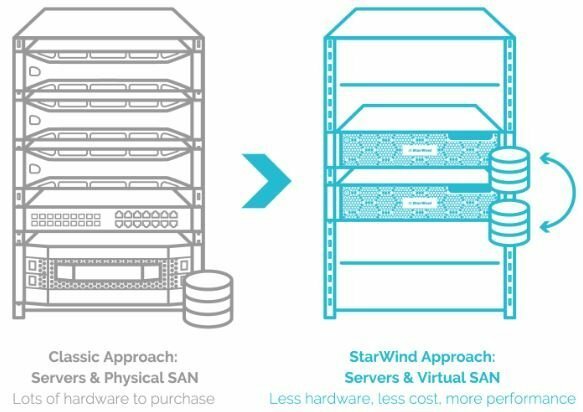 StarWind Linux VSAN is a software solution that mirrors internal hard disks and flash between hypervisors eliminating the need of a shared storage. 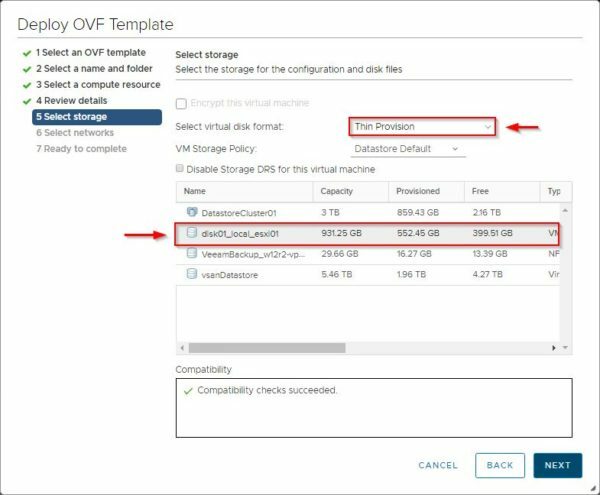 In previous versions VSAN solution required the installation on Windows-based virtual machine increasing costs due to the Windows licenses you have to include based on configured nodes. 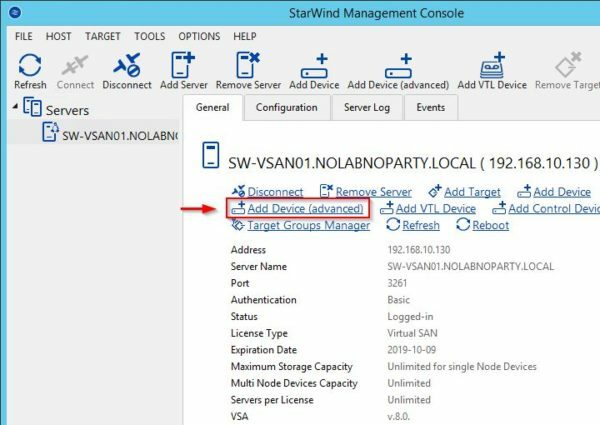 Recently StarWind released the VSAN Linux-based that provides same storage capabilities cutting costs since you are no longer requested to purchase Windows licenses for used nodes. 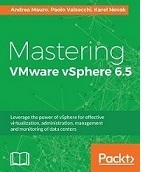 The new version is a prepackaged Linux virtual machine (appliance) to be installed as a VM on vSphere. 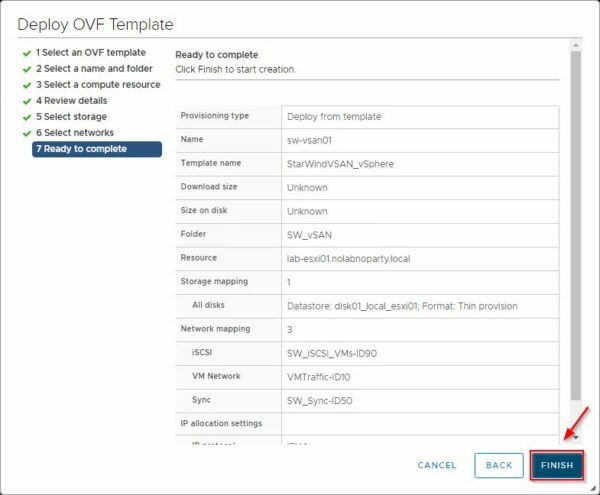 Download the VSAN Linux appliance from StarWind website then open the VMware vSphere Client to perform the deployment. 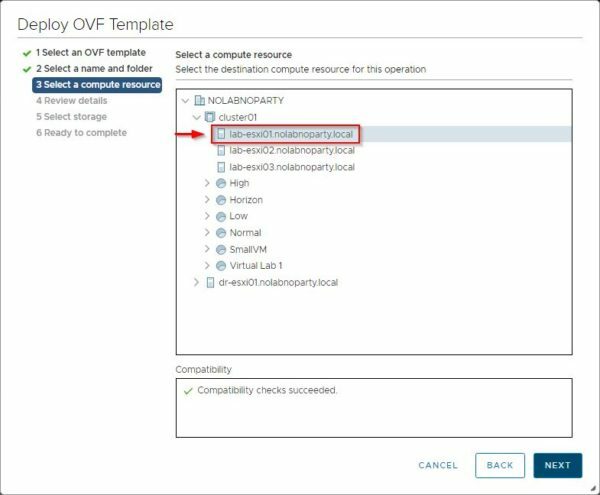 Right click the vSphere object on which you want to install the appliance and select Deploy OVF Template option. 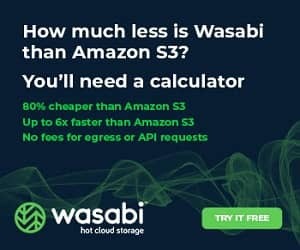 Click Choose Files button and select the three files of the appliance. Click Next. Specify the Virtual machine name and the location then click Next. Select a compute resource then click Next. 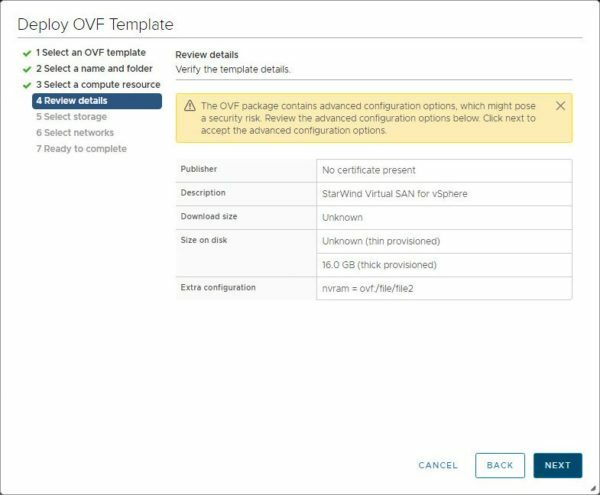 Specify the virtual disk format and select the storage of the ESXi host used as a StarWind VSAN node. Click Next. 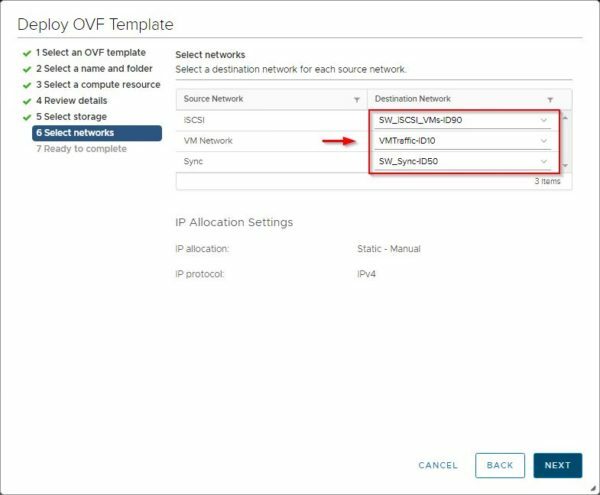 Select the networks for the Management, iSCSI and Sync operations then click Next. 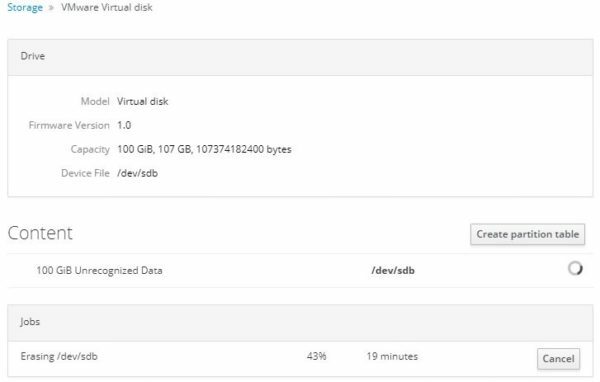 When the deployment of the virtual appliance has been completed, power on the VM since you need to do some configuration to enable the VSAN datastore. Right click the VM and select Power > Power On. 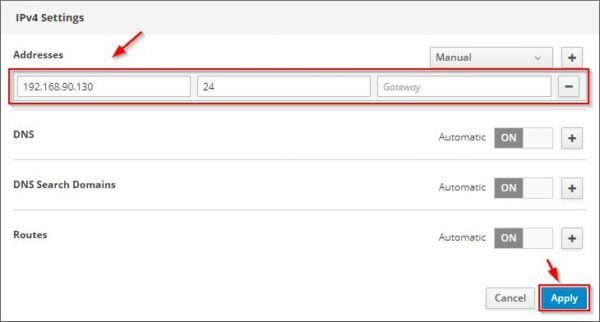 By default the appliance is configured to receive the IP address via DHCP but it is strongly recommended to assign a static IP address instead. 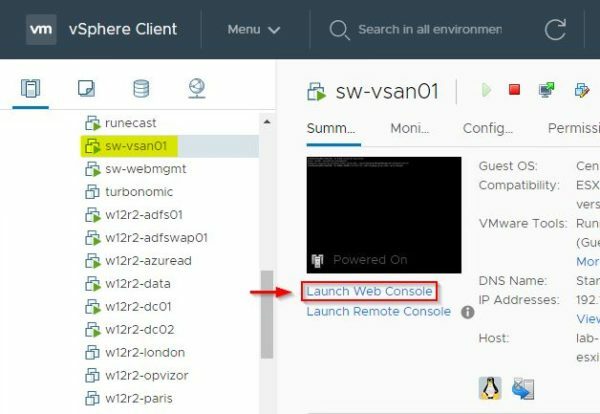 To specify a static IP address for the Linux appliance, from vSphere Client select the StarWind appliance and click Launch web Console. 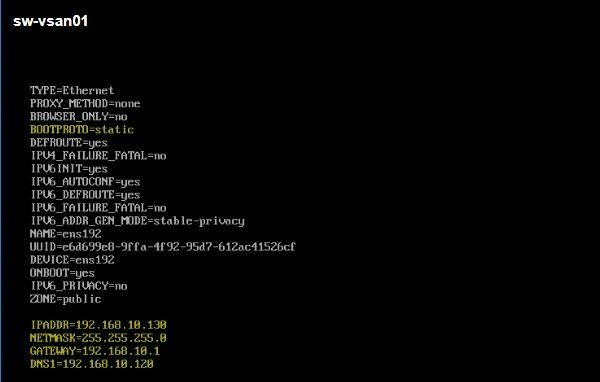 Edit the NIC configuration file to configure the static IP address. Restart the interface to apply new settings. Go to Networking section to check the status and configure the available NICs (Management, iSCSI and Sync networks). If you need to enable and configure a NIC, just click on the NIC to access the configuration. Specify the IP address and the Netmask for the NIC used for the iSCSI traffic then click Apply. Enable the Connect automatically option. Repeat same action for the NIC used for the Synchronization traffic. 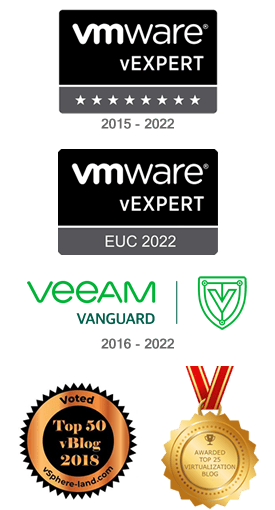 To manage VSAN you need the management console. 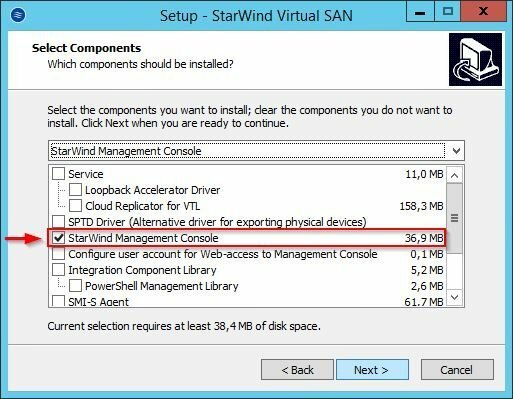 Install the StarWind Management Console in a Windows-based virtual machine by selecting the correct option during the Setup of StarWind Virtual SAN. 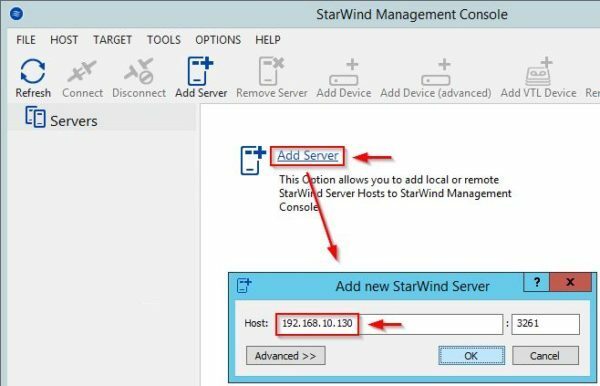 Open the StarWind Management Console and click on Add Server link. 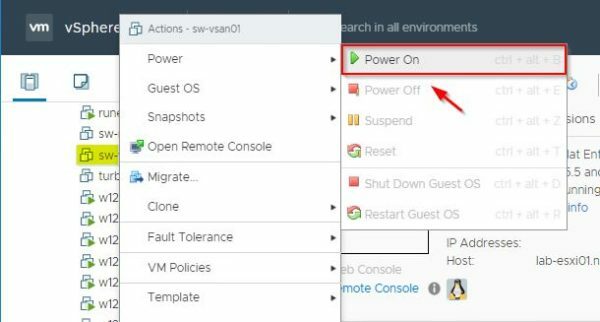 Enter the IP address of the VSAN appliance as Host and click OK. When the connection has been established with the appliance, you are requested to apply the license. 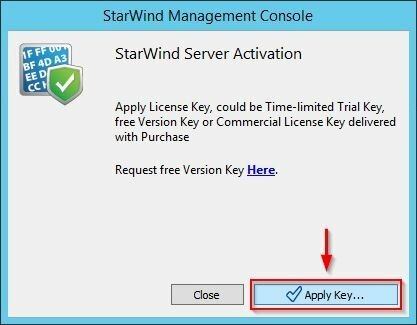 Click on Apply Key button to insert the license received from StarWind. 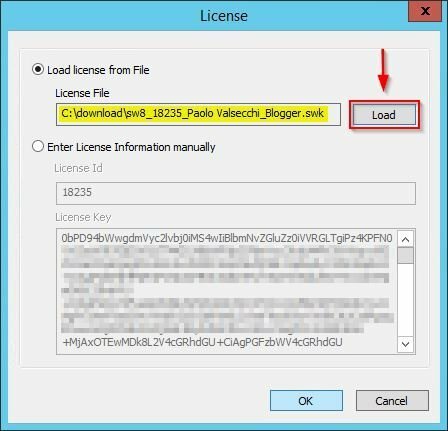 Click Load to select the license file to use then click OK. The license is now applied to the selected appliance. 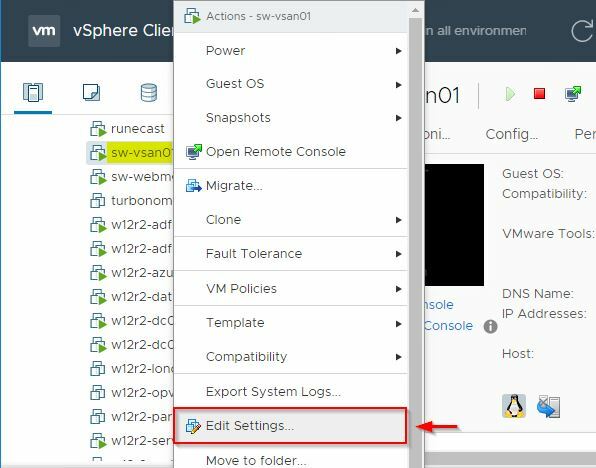 From vSphere Client, right click the VSAN appliance and select Edit Settings. 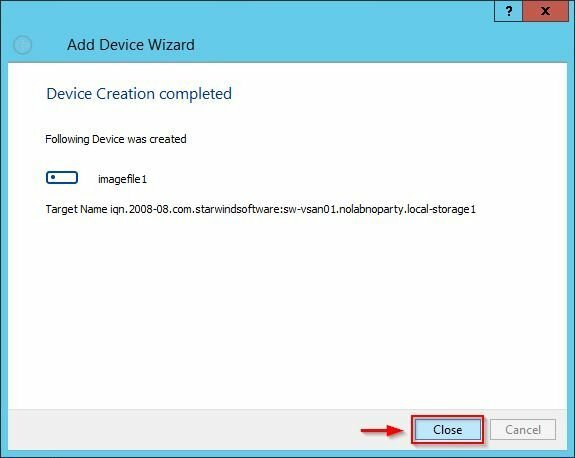 Click Add New Device and select Hard Disk item. 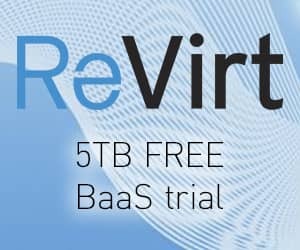 Specify desired New Hard disk size and set Disk provisioning as Thick Eager Zeroed. Click OK. 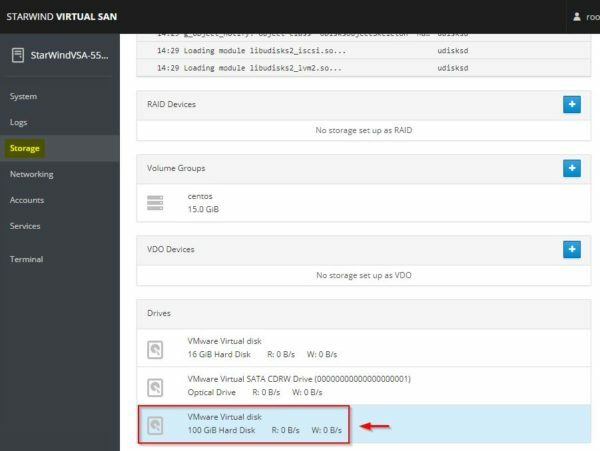 When the new disk has been created, access the Storage section from the VSAN Web GUI. Under Drives area the new disk is displayed. Since the new disk doesn’t have any partitions and filesystem, click on the new disk to access the configuration window. 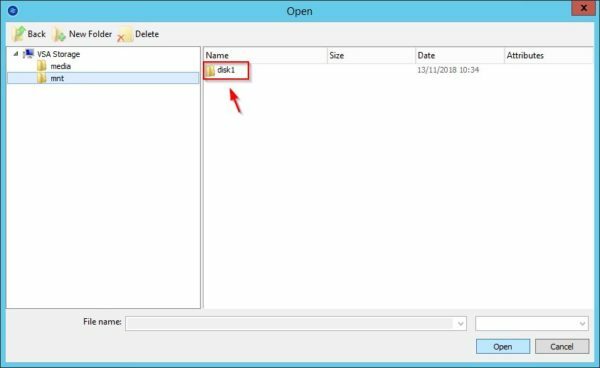 Click Create partition table button. Select the appropriate options based on your requirements then click Format. The disk is being formatted. When the format process has completed successfully, click on Create Partition button. 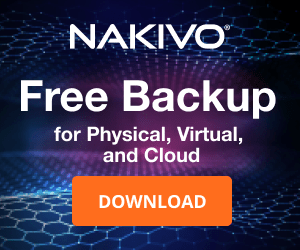 Create an XFS partition and enter a Name for the disk. 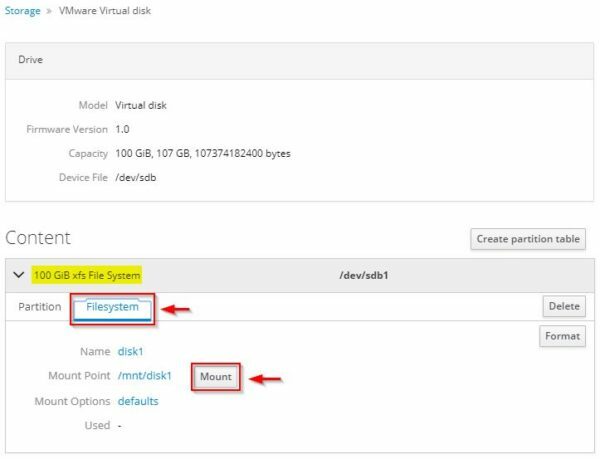 Specify the Mount Point as /mnt/<disk_name> (/mnt/disk1 for example) and click Create partition to proceed. The new partition is created in the system. Click the new partition, select FileSystem tab and click Mount. The new disk has been mounted in the specified Mount Point. 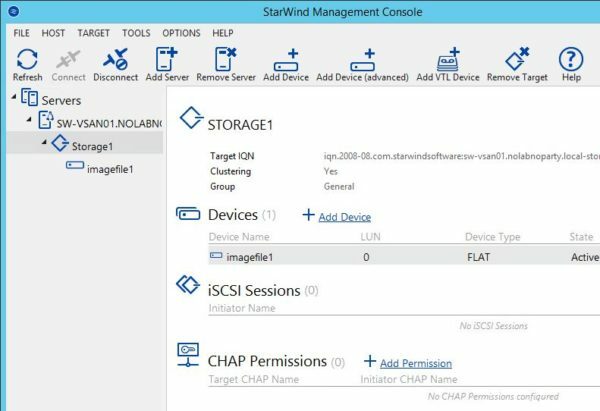 Going back to the StarWind Management Console, after inserting the license you are requested to create a Storage pool. 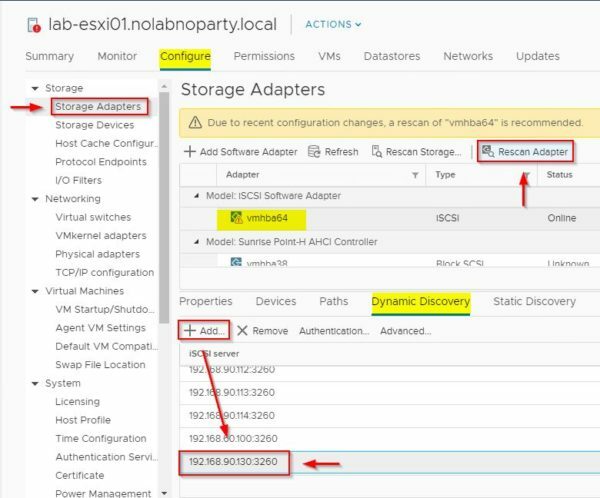 Click Yes to proceed with the configuration of the Storage pool. 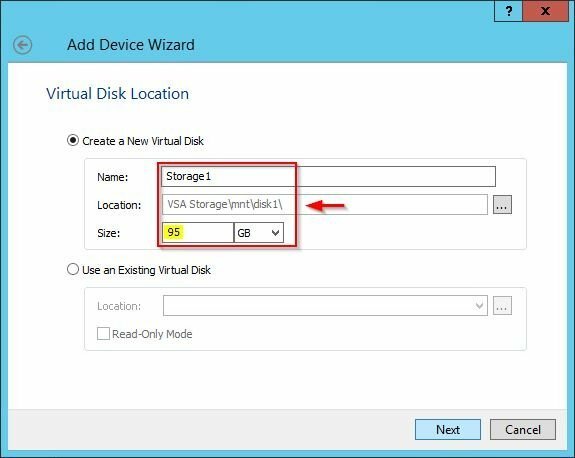 Click the mnt folder under VSA Storage. The previously mounted disk is displayed. Click Open. 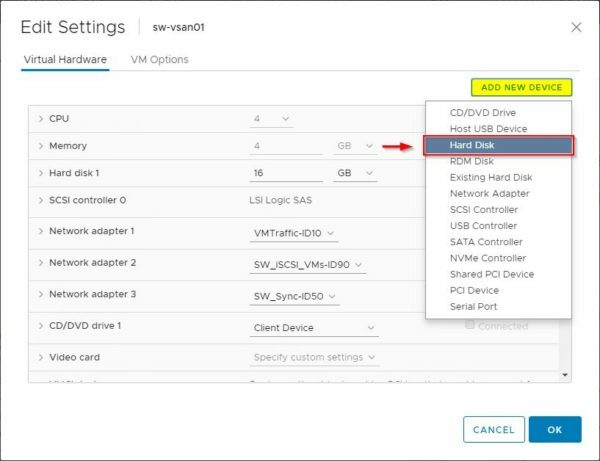 From the StarWind Management Console select the added VSAN server and click Add Device (advanced). Select Hard Disk Device and click Next. 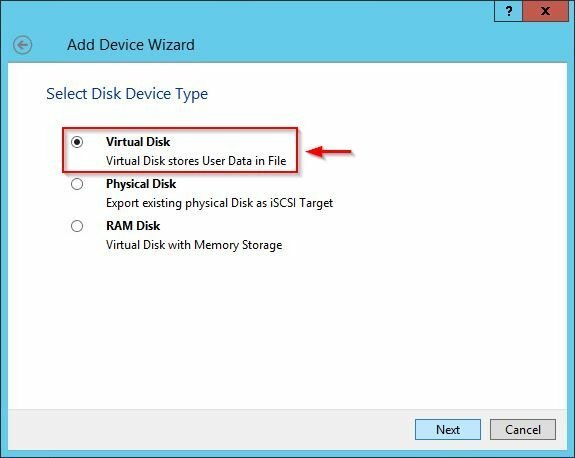 Select Virtual Disk as disk type and click Next. 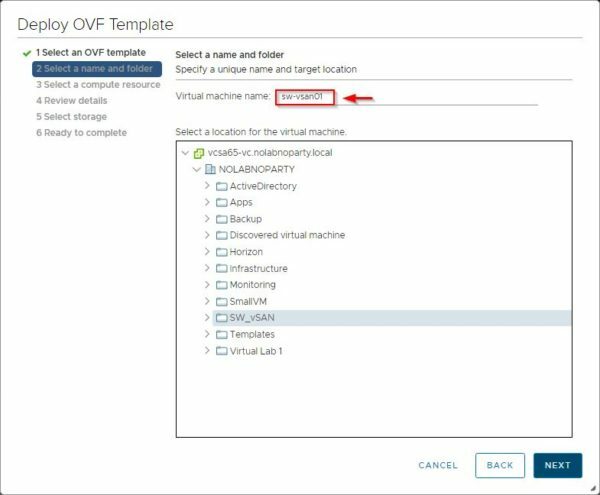 Select the Create a New Virtual Disk option and specify Name, Location and Size. Click Next. 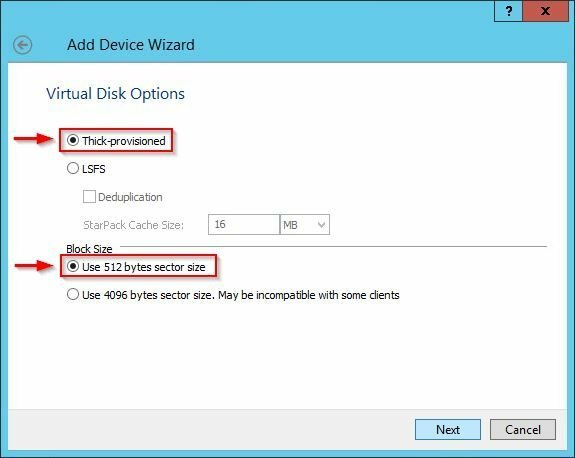 Select Thick provisioned as virtual disk option and specify Use 512 bytes sector size as block size (required if ESXi is used). 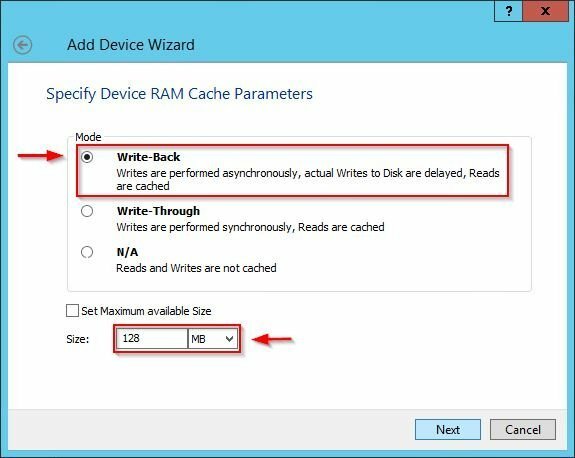 Specify the caching policy and cache size (1 GB RAM for every 1 TB storage) then click Next. 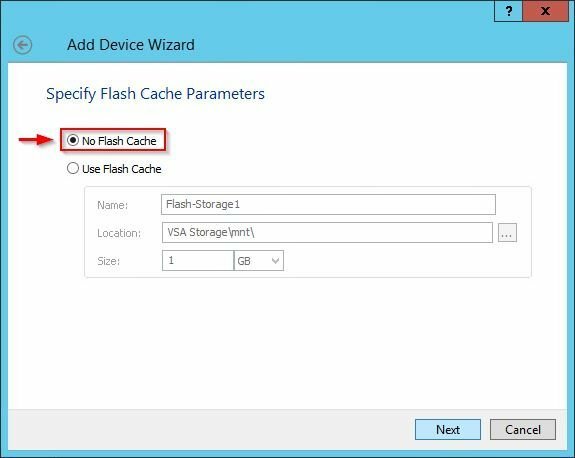 Specify the flash caching policy and cache size (10% of device size). Click Next. 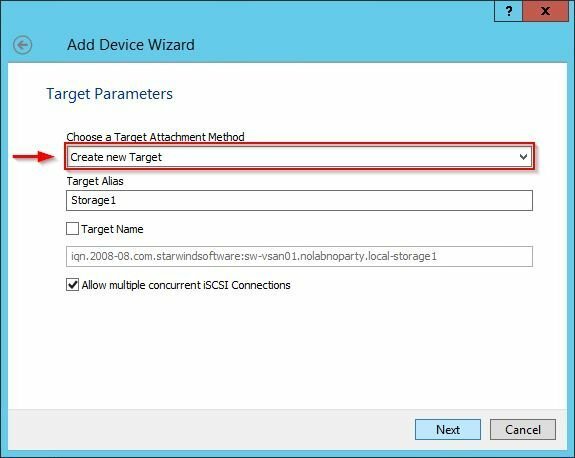 Specify Create new Target as attachment method and the Target Alias. Click Next. 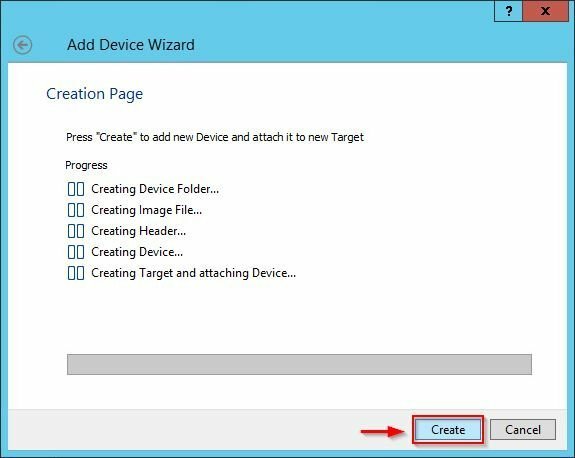 Click Create to proceed with device creation. The device has been created successfully. Click Close to exit the wizard. The created new device. Now the new device is ready to be mapped via iSCSI to the hypervisor. 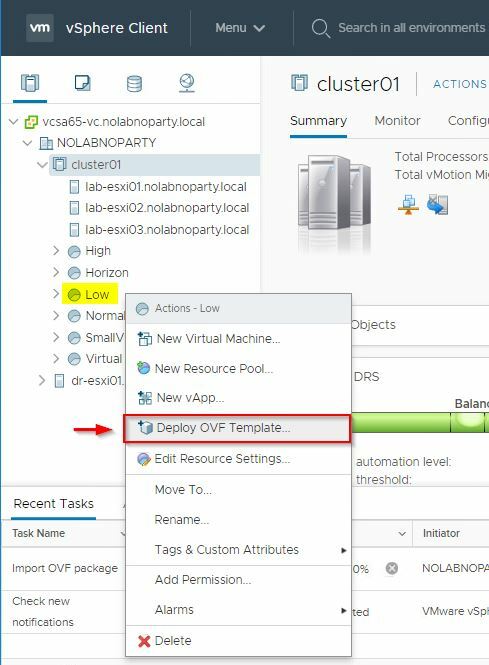 In the vSphere Client, select the ESXi on which the VSAN appliance has been deployed and go to Configure tab. 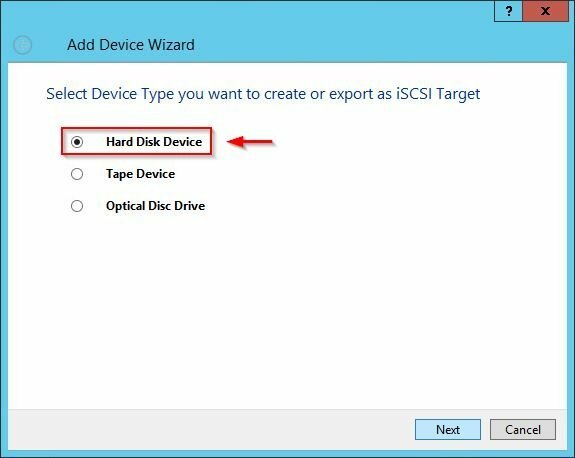 Access the Storage Adapters section under Storage and click on the iSCSI Software Adapter. 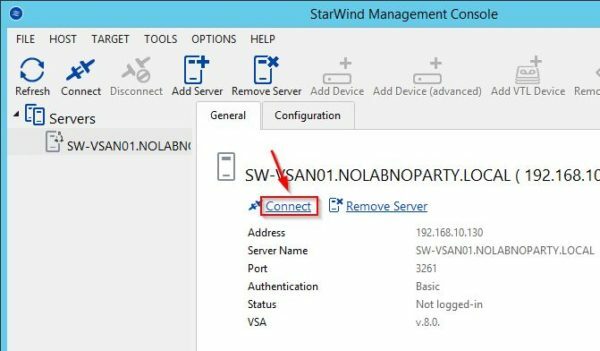 Select Dynamic Discovery tab and click Add to specify the IP address of the iSCSI Server (the IP address of the NIC configured in the StarWind VSAN appliance for the iSCSI network) to discover. 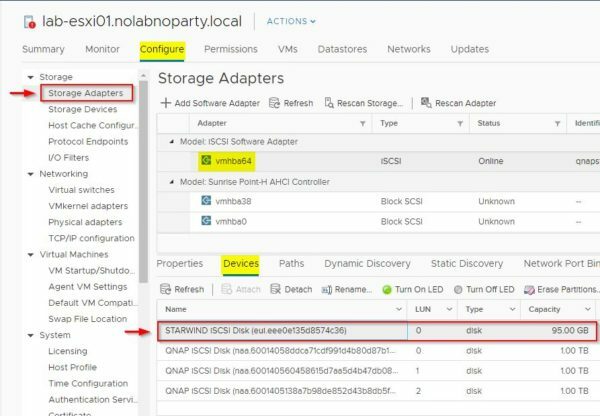 Click Rescan Adapter to discover the added iSCSI server. When the scan has been completed, go to the Devices tab. The new device has been detected successfully. 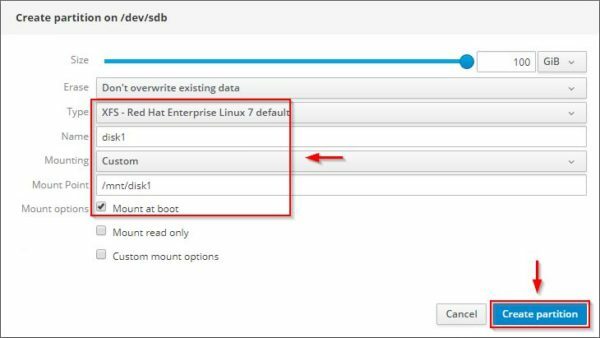 Now you have to create the datastore in the ESXi host as you normally do with other iSCSI devices. 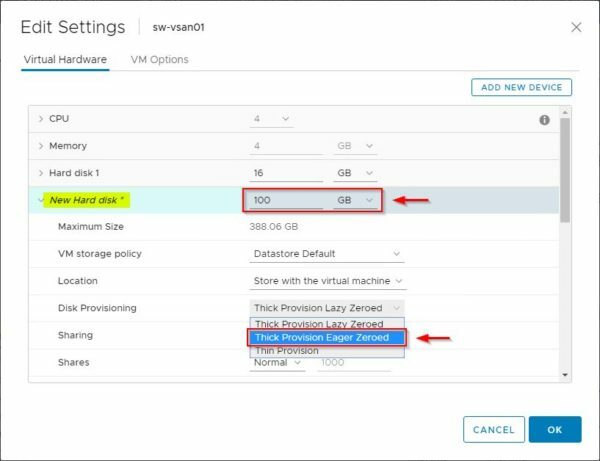 A detailed procedure to configure the datastore in the ESXi host can be found in this post. 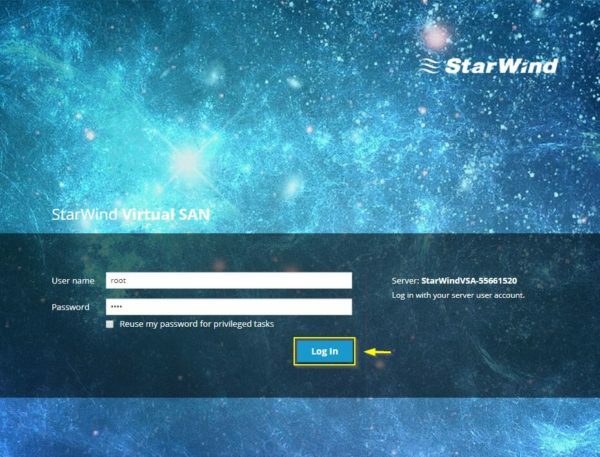 StarWind Linux VSAN can be downloaded from StarWind website.